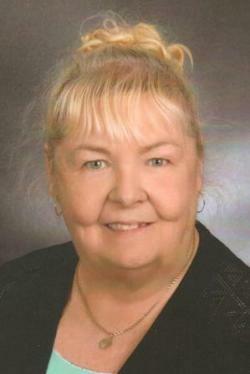 Bonnie Lynne Jones of Riverview passed away at the Dr. Georges L. Dumont University Hospital on Friday, February 8, 2019. Born in St. Catherine's ON, on June 20, 1947 she was the daughter of the late William and Doreen (Girling) Oakley. She was a member of St. George's Anglican Church. Bonnie retired after many years of working in the Book Keeping field. Survived by daughter, Leigh-Anne Jones (Brad Carruthers) of Riverview; sons, Trevor (Bernice) of Riverview and Kevin (Sarah) of Irishtown; brothers: Garry of Nanaimo, BC, Tim (Mavis) of Cambridge ON and Brian Oakley (Dawn) of New Mexico, USA. also by one grandson, Damian. In addition to her parents she was predeceased by her husband Donald Jones in 2011; grandson, Jacob in 2017. A memorial service will be held at St. George's Anglican Church 51 Church St. Moncton on Thursday, February 14, 2019 at 2:00pm with Rev. Chris VanBuskirk officiating. Donations in Bonnie's memory made to St. George's rectory discretionary funds would be appreciated by the family.